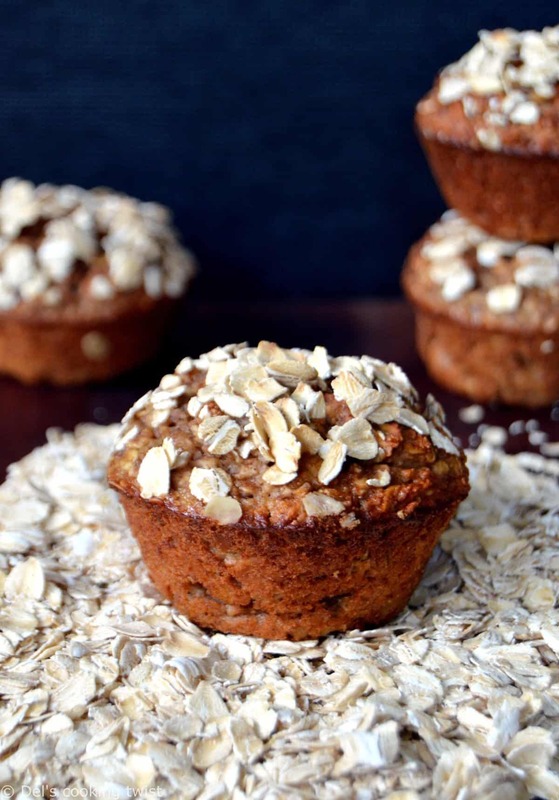 Indulge to these healthy banana oatmeal muffins prepared with egg whites and naturally sweetened. 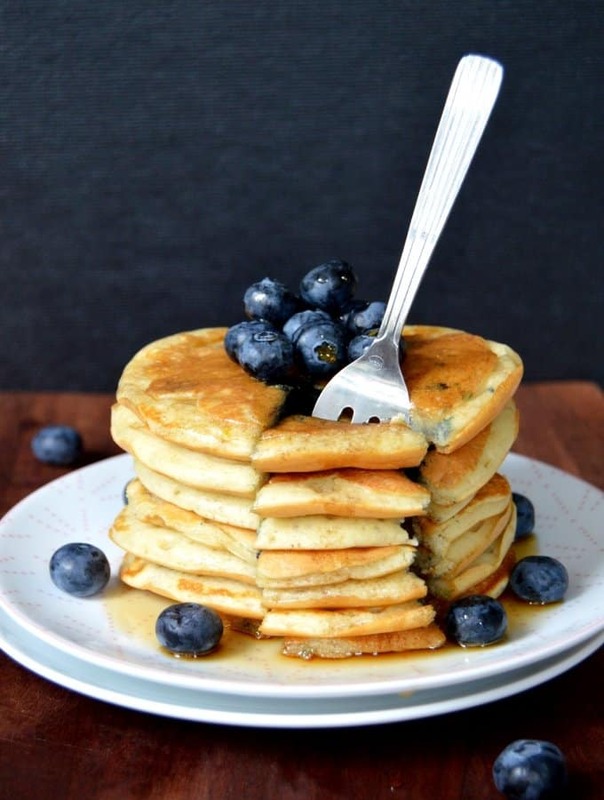 They are perfect for breakfast! I have been willing to share them with you for ages. But for some reasons, I always postpone them for more urgent recipes that are more aligned with the seasonal occasions. Thanksgiving, Christmas, Crepes Day, Valentine’s Day… there is always something! And it’s fine somehow, because banana desserts can be enjoyed all year round! But what do we have here exactly? Is this a dessert? A breakfast? Well, it really depends. 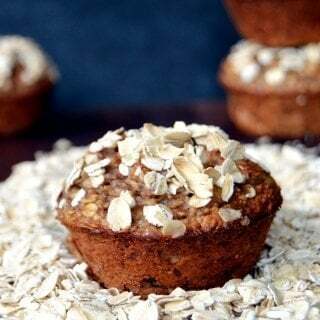 Because they are muffins and because they look like banana bread, I would be tempted to say they are perfect for breakfast. 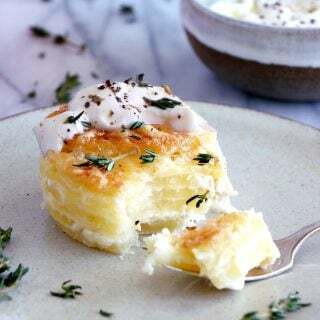 You could enjoy them plain as a breakfast on the go, or cut them in half, toast them for a few seconds and serve warm with a little bit of butter on each side. Like you would do for banana bread basically. But depending on where you live, you might also like them for tea time as a little something to fix your sweet tooth. Also, I like that they are so skinny, yet so good! 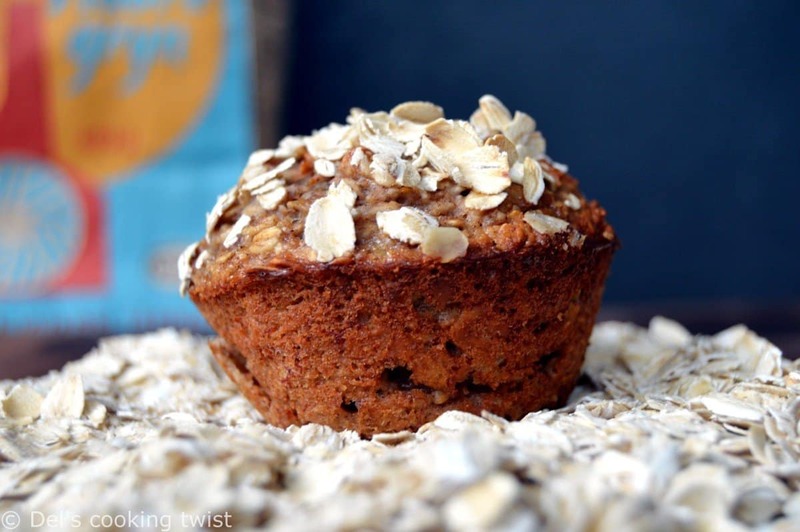 These muffins take all the best from the bananas that give them texture, moistness, and natural sweetness. 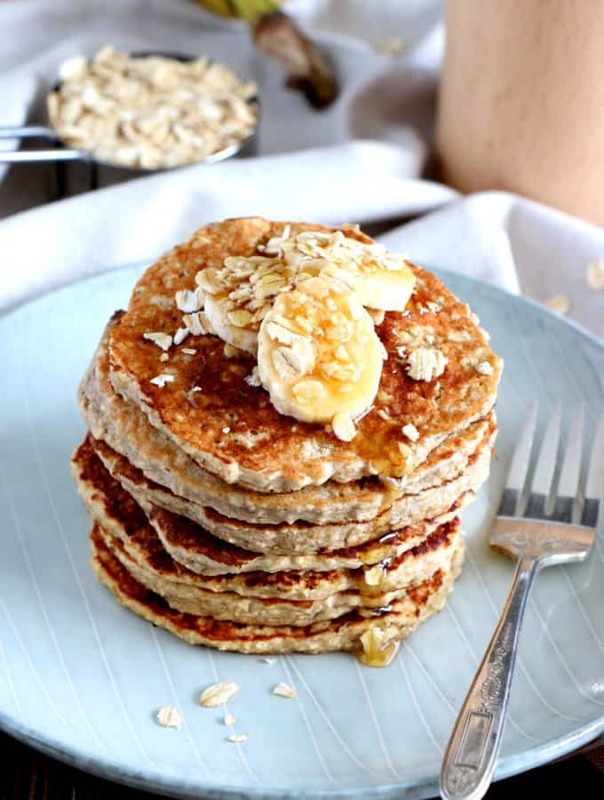 For the rest, expect no yolks, no refined sugar (you can even skip the honey if you use very ripe bananas), no butter/oil and no flour! I’m telling you, they’re super skinny! So what’s inside these banana muffins? Bananas, obviously. I use 2 medium bananas. If very small, use one more. Oats (I prefer quick oats over old-fashioned here; best way to get a moist texture). Milk, dairy or non-dairy, you choose. Egg whites (no yolks). 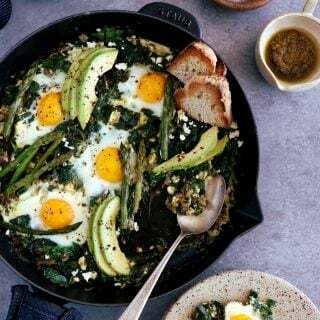 Egg whites are high in protein with basically no fat. 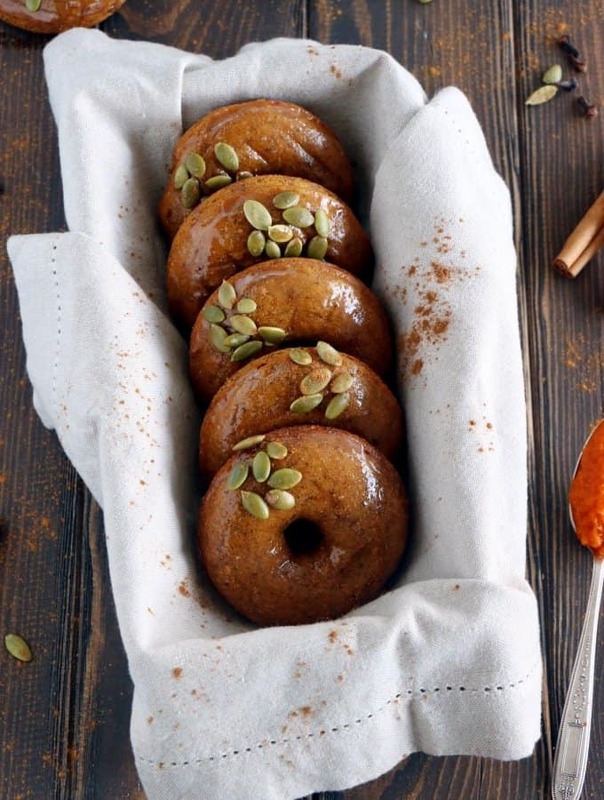 Add baking powder, salt for taste, and some honey if you are a sweet tooth. Also, I like cinnamon in almost all of my baking, but you can replace it with vanilla if you want. As for the milk, I really like them with almond milk but really, any kind will do, dairy or non-dairy, so just use the one you like the most or have at hand at the moment. Now, what if you add chocolate? Because they’re plain, you can play with the recipe a little bit, adding some mini chocolate chips, cranberries, raisins, walnuts. If you do add one of those, use about one to one and half tablespoon maximum, so you don’t overload the batter. If it’s too dense, add a little bit of milk. Play with the ingredients and make the recipe yours, adapting as often as you want so you never get bored of them. Buttermilk Banana Bread (a readers’ favorite. 100% approved). 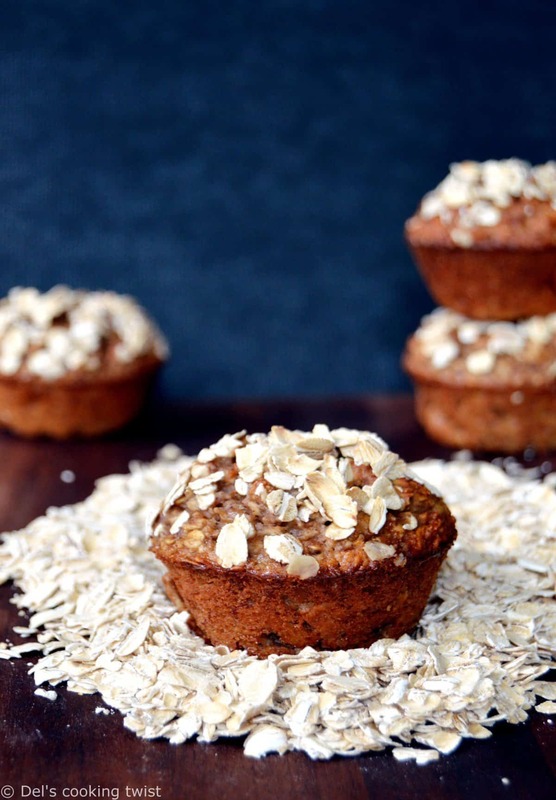 Definitely on the healthy side, these banana oatmeal muffins can also be made entirely dairy-free and gluten-free. 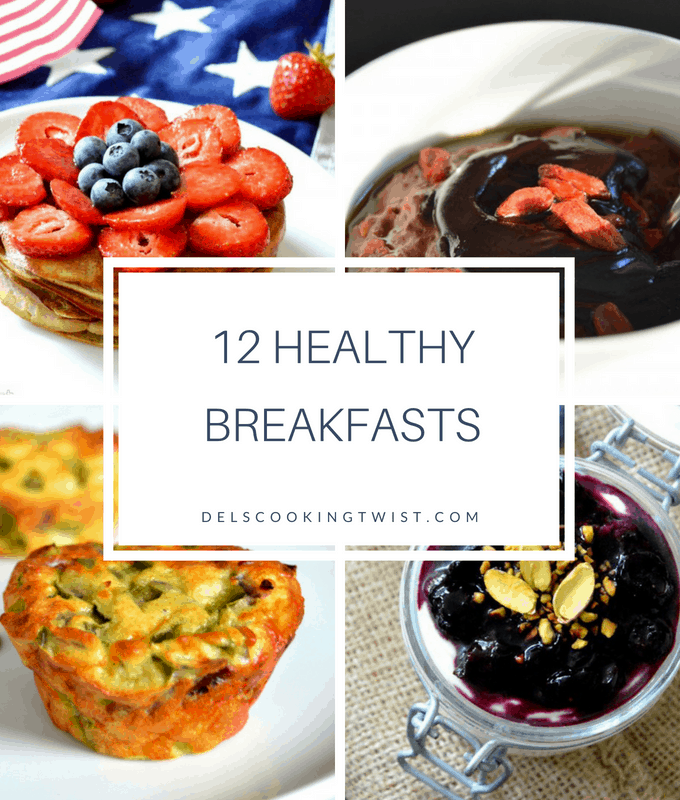 Just make sure you use non-dairy milk or vegetable milk, and gluten-free oats. Preheat the oven to 350°F (180°C) and grease a muffin pan. Set aside. In a large bowl, stir together oats, baking powder, cinnamon and salt. Add mashed banana, egg whites, vanilla extract, milk and honey to the oat mixture, and stir well to combine. Fill the muffin cups almost completely full with oatmeal texture. The muffins will not rise. 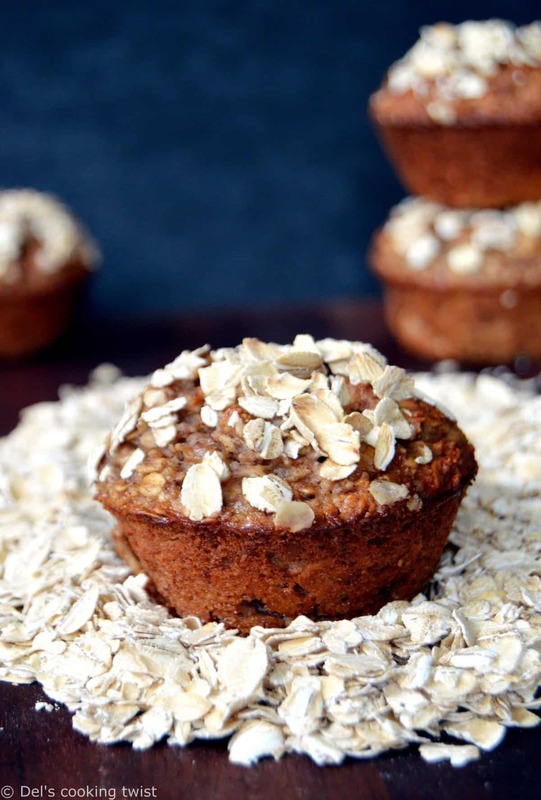 Bake for 30-­35 minutes and until the center of each oatmeal muffin is set. Allow to cool for 10 minutes before serving to prevent from falling apart. You can store them in a covered container in the fridge until one week.